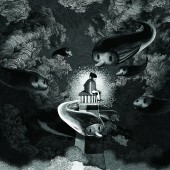 About Steven KH Choi : An emerging illustrator and graphic designer is born and raised in Hong Kong. Founder of Syncircle Design Company, Steven has engaged with design since teenage. Illustration series “Zu & Pi” was first exhibited and in Frankfurt bookfair 2012. His simple, Scandinavian illustration style is recognized in local and global awards. There are always rooms to improve. Stay focus! 2016 Apr:	" Participant" of	Taiwan Creative Expo, Taipei, Taiwan in showing the illustration series of " Zu and Pi"
Press Members: Request an exclusive interview with Steven KH Choi.